When deciding what car to buy, one of the highest priorities for potential customers is the cabin experience. Layout, comfort, technology and audio are all major influencers of customer perception, and are areas where automotive manufacturers can significantly differentiate their vehicles. This is why manufacturers spend vast sums on R&D to reduce NVH (Noise, Vibration and Harshness). NVH is a critical focus in the automotive industry that engineers address at the earliest stage of the design process, including NVH generated by the braking system. 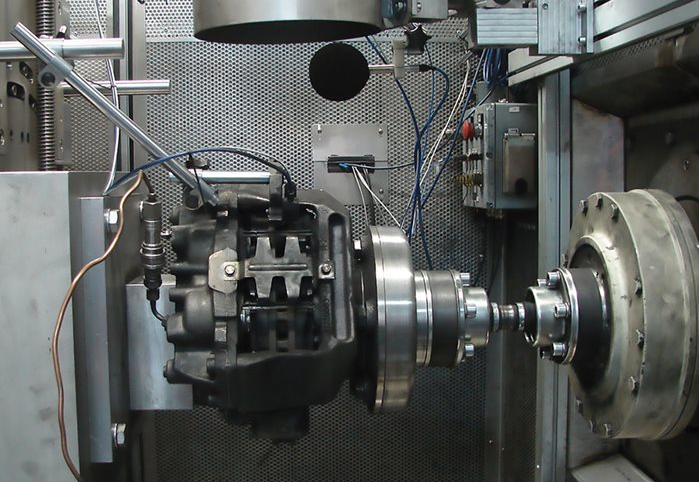 During the development of a new model, vehicle manufacturers depend on their brake suppliers to do much of the preliminary testing on the individual components of a vehicle’s disc brake system. This includes testing the friction materials on a brake dynamometer to make sure the coefficients of friction are correct for the application, and ensuring the pad design provides adequate noise suppression without adversely affecting stopping power, pedal feel, fade resistance or wear. The brakes are then tested on the vehicle to make sure they meet the intended specification. Test track drivers provide objective and subjective evaluations of how well the brakes perform, including noise levels. When the design targets are reached, the brakes are approved and released for production. Apec follows exactly the same process of dynamometer, test track and road testing when it develops its brake pads for the aftermarket. How quiet are your brakes? The brake material selection, design and refining process means most brakes are very quiet, especially on premium luxury vehicles. But sometimes, performance requirements may outweigh noise suppression in the final selection process. The engineers in charge of a particular model may favour a friction material or pad design for its high temperature fade resistance or wear characteristics, over its acoustic properties. Consequently, some new cars may have noisier brakes than their drivers would prefer. Brake noise is nearly always caused by high frequency vibrations between the pads, caliper and brake disc. When stationary pads rub against a rotating brake disc, they glide like a hockey puck on ice. If there’s play between the pads and caliper, the pads can vibrate and chatter as they ride over the surface of the brake disc. Depending on the frequency of the vibration, this can create a high-pitched squeal. Apec always matches or exceeds the specification of the OE pad, so we incorporate the original manufacturers’ beneficial features, such as chamfering the ends and/or adding slots to ‘tune’ the pad so it makes less noise. Chamfers and slots change the natural frequency at which the pad oscillates, so it runs quieter than a pad which lacks these features. Various types of shims may also be fitted to the steel backing plate to further dampen vibrations between the pad and caliper. The shims act like a cushion, to absorb noise-producing vibrations. Pads may also be supported by anti-rattle clips or springs that minimise play between the pads and caliper, and further dampen vibrations during initial engagement of the pad. Apec pads benefit from all these features whenever appropriate. Yet we must remember that Apec products are usually fitted to vehicles that are several years old and have covered many thousand miles. 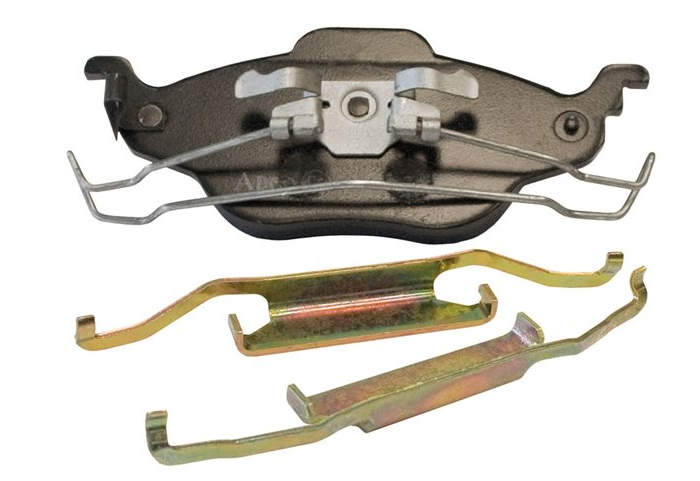 Consequently, the components around the brake pad are often worn, corroded or even missing, so even new pads may be noisy. To prevent this, your goal as a brake technician is to restore the brakes to as-new (or better than new) condition. That means assessing the condition of the discs, calipers and hardware to see if they need to be replaced. When you fit new Apec pads, ensure all corrosion is removed from the pad/caliper abutment points and fit new brake hardware. Springs can lose their tension by up to 50 per cent, causing the pad to oscillate and generate noise, so springs should be replaced whenever the pads are renewed. Apec offers a range of fitting kits, which include springs, to complement our pad range. Use a suitable copper-free brake grease, such as Apec Brake Grease, to lubricate the abutment points to ensure free movement and efficient braking – see our Brake Grease bulletin. Avoid copper grease, as it can potentially effect ABS signals and encourages galvanic corrosion. This prevents the pad moving freely and can be another source of noise. If the discs are heavily scored or lipped, they too will need replacing or their rough surfaces can cause noise. Finally, ensure you clean the hubs before fitting new discs, and use a DTI to check for lateral runout. Replacing the discs without cleaning the hub surfaces can be a waste of time and money; a DTI reading greater than 0.08mm will lead to harshness in the form of brake judder! No matter how refined the engine and suspension, if the brakes are noisy, harsh and vibrating it can ruin the driving experience. The vehicle manufacturer will have gone to great lengths to eliminate NVH, but fortunately for you as a technician the remedy is much simpler. Even on vehicles that are several years old and have covered tens or hundreds of thousands of miles, you can achieve quiet, effective brakes. Make sure you fit quality braking parts and the appropriate accessories, such as those from Apec’s extensive range, whenever you service the braking system.